financial planning, rather than simply serving as a tax preparation service. As a successful business owner, you know that effective management of your time and focus is a key factor in your success. RamaCPA offers a full range of business accounting services that can help you manage your time and keep your focus on growing your business. By freeing you from the time demands of bookkeeping, payroll processing, and other accounting functions, RamaCPA can help you focus on managing the growth of your business while delivering cost savings directly to your bottom line. RamaCPA provides business accounting services under a business process outsourcing model delivered by a dedicated professional accounting team supported by the latest technology, including QuickBooks, Peachtree, and MAS 90/200. 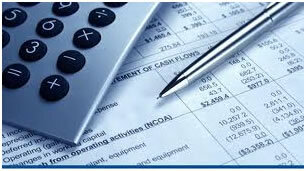 In addition, RamaCPA also provides part-time CFO and Controller consulting services. To find out more about how RamaCPA can help you solve your most pressing business and personal financial management issues, please select one of the links above or contact us here.